Round of Golf for 3 at Belle Haven Country Club (must play with a member, Rich) also included will be lunch and drinks! Distinguished golf course architect Arthur Hills has created 18 challenging holes that will test every golfer…with a slope rating as high at 74.9/140 and length 6,910 yards, you’ll want to play every day. And, as a member of Belle Haven, you’ll have that opportunity. Leaving spacious, full service men’s and ladies’ locker rooms, you and your guest can select whatever you need in our fully stocked Golf Pro Shop. Belle Haven offers bag storage with club cleaning and repair. We have a shoe repair shop where golf shoes can be cleaned, spikes replaced and repaired. We can also clean, polish and repair your street shoes, as well. Then, experience golf on the Potomac, a stone’s throw from Old Town Alexandria and the closest private course to Capitol Hill. 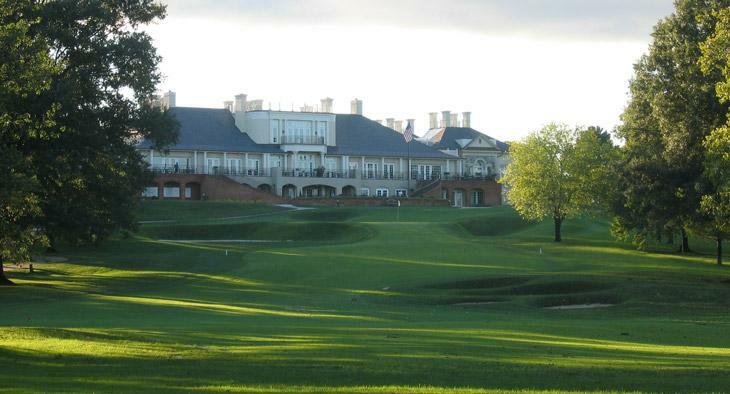 The course has been recognized as among the very best in Virginia.